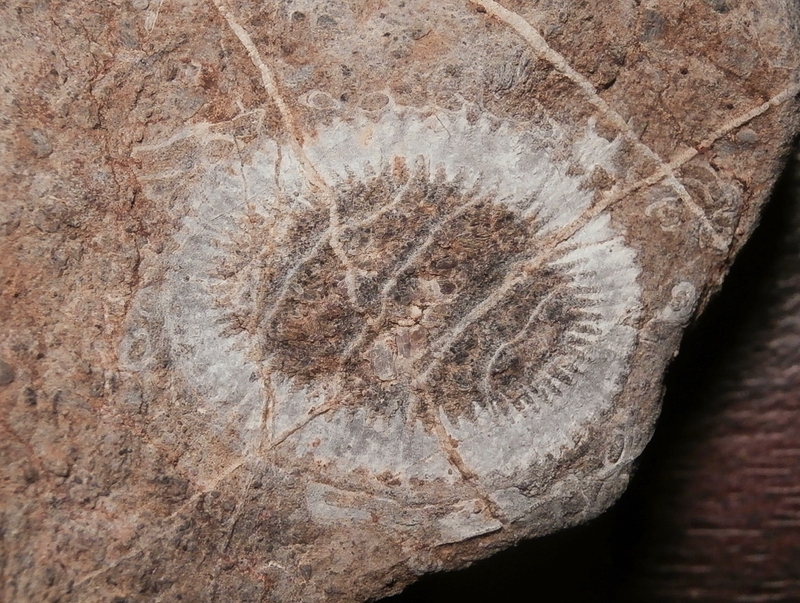 I would like to post some more fossil specimens in this thread. More specimens will follow from time to time (hopefully). 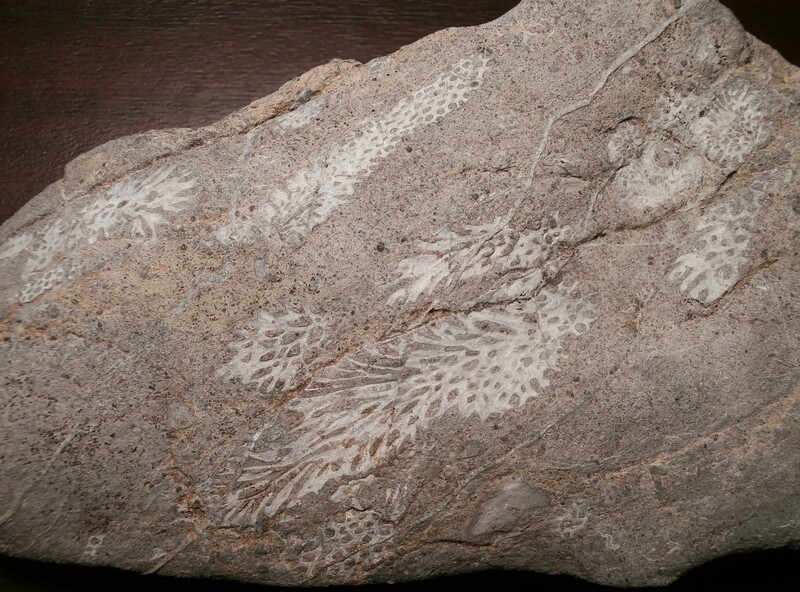 The first two specimens contain abundant branches of the tabulate coral Striatopora? suessi. Field pics of these specimens are already posted in the hunting trip, but here you can see also their side views, showing the alingment of the individual coral branches. (I don´t know why pics don´t look good here, but if you are zooming in, they are ok). Thamnopora boloniensis with T. reticulata. Southwest of Fürstenstand, lenght of the largest coral 49 mm, collected 10/17/2017, Nr. 3500. 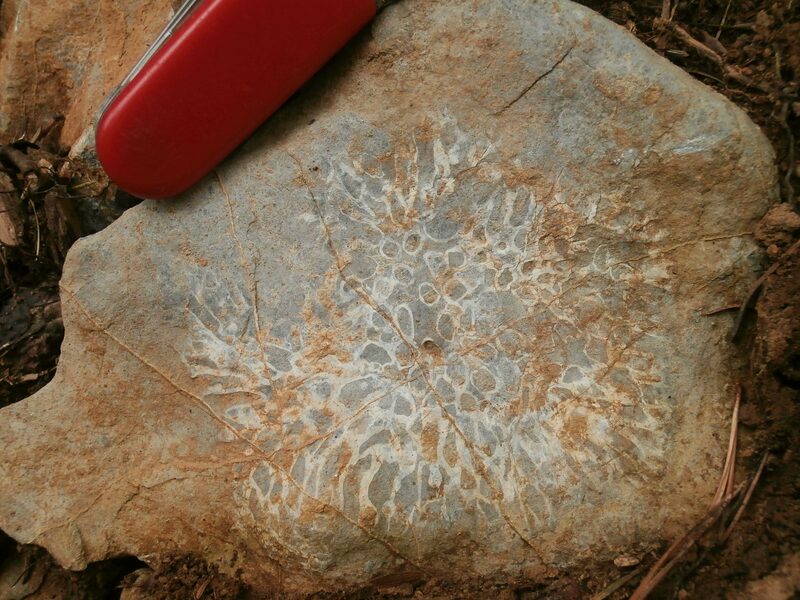 Thamnopora boloniensis growing on a stromatoporid. Southwest of Fürstenstand, width of specimen 6 cm, collected 10/17/2018, Nr. 3504. Probably rugosa Thamnophyllum murchisoni Penecke, 1894. Cross section and longitudinal section within one specimen. 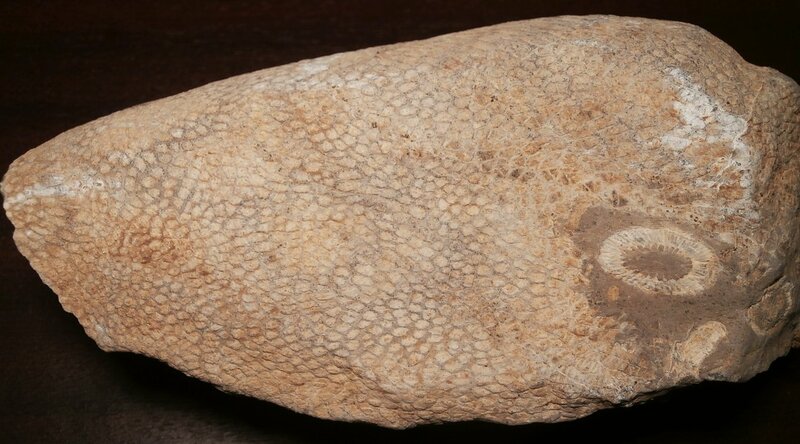 North of Fürstenstand, outer diameter of coral 1.3 cm, collected 02/25/2016, Nr. 2751. Beautiful! Pictures look great and are ideal for zooming in. Thanks for showing these fine examples of your local wonders. One of the rare fossils of the Plabutsch-formation, an oblique section through a gastropod from Buchkogelsattel southwest of Graz. Width of gastro is 5.3 cm, collected 12/10/2015, Nr. 2616. I have found only one of these so far (The local specialist has more of them, though). 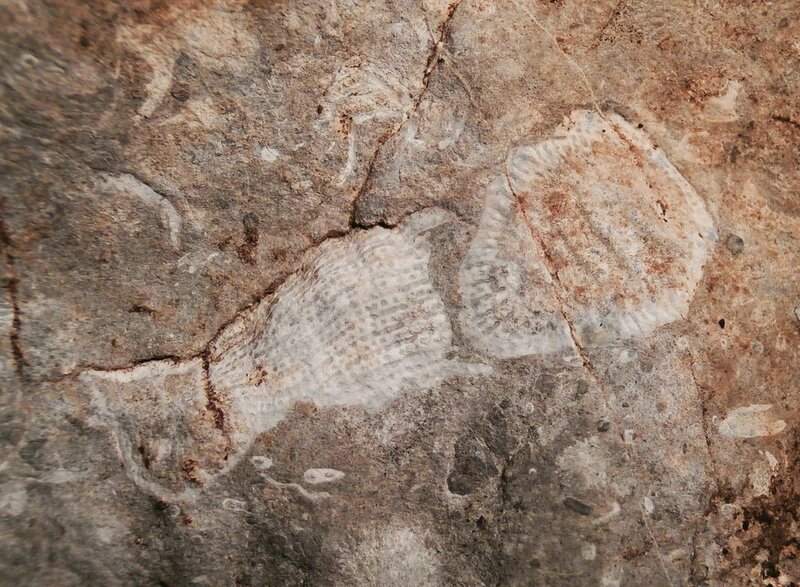 A Pachycanylicula barrandei from Ölberg west of Graz. It has been scratched during forest road construction, espcecially at the top. Consequently, I have ground and polished this part. Width of specimen is 11 cm, collected 01/20/2018, Nr. AN4014. One view of the top and two side views. 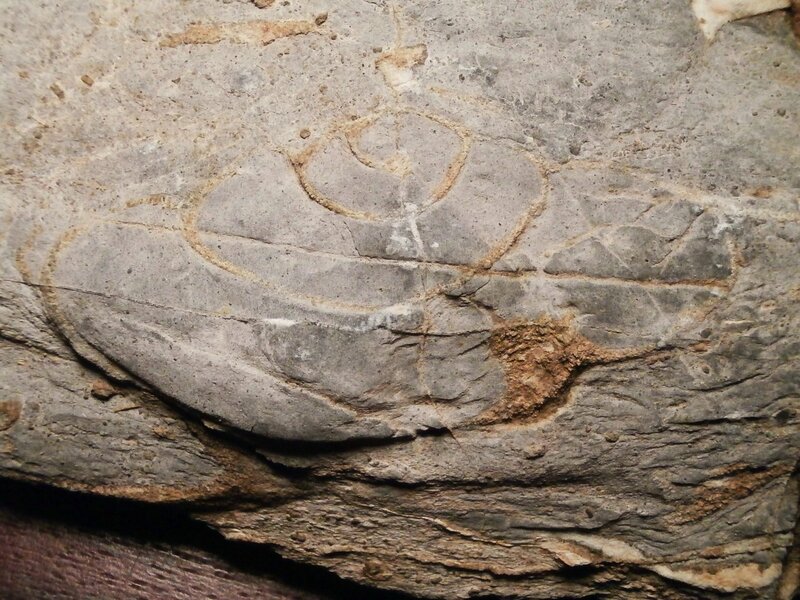 You live in another one of those places where you can find fossils from a wide range of ages in a geographically small area. 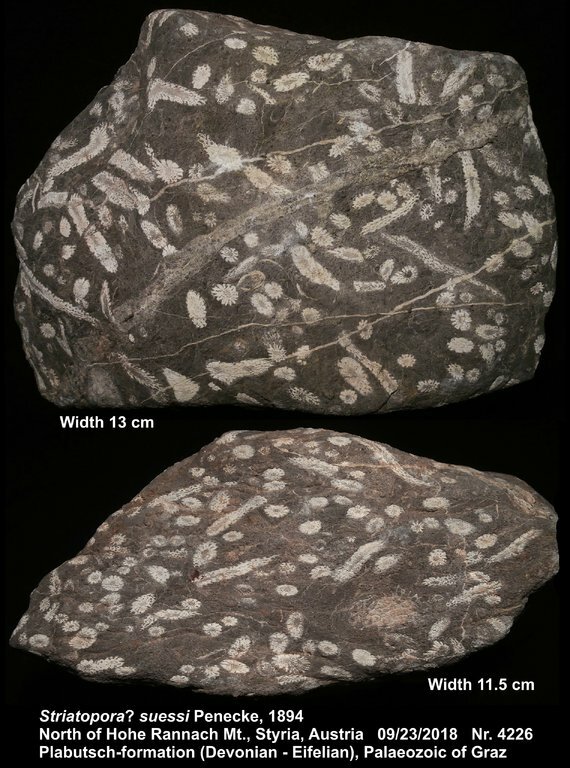 The oldest fossils we have here on Vancouver Island are Pennsylvanian (Upper Carb), but they are remote and hard to find. Lots of Mesozoic (esp. Cretaceous) and Cenozoic. You are welcome and thanks for your appreciation! Thanks, you are welcome! Fine, that the pics are ok! Yes, I am very lucky, all these formations (Eifelian, Campanian, Langhian) are within 20 km of Graz. And there are even more fossiliferous formations within this distance, but with less extensive outcrop areas or somewhat less fossiliferous: Uppermost Silurian, Upper Devonian, Sarmatian/Pannonian. I like the way you polished the on area. It's like a little window to seeing more. You're right! 100km is not a lot for us in North America, but I understand Europeans are generally averse to traveling such distances. Actually 100km is a bit much for me too. but I understand Europeans are generally averse to traveling such distances. "Generally" is correct! I have some friends in Austria that have no problem making 300km day trips - one distance! Ok, 95% of the trip on freeways, but its long driving anyways. Thanks! I think it´s actually called "window polishing" . I would not have done it, if this area had not been severely scratched by earth-moving equipment. Cross section of a rugosa Thamnophyllum stachei. Southwest of Fürstenstand, outer diamter of coral 1.7 cm, collected 10/17/2017, Nr. 3506. Rugosa Tryplasma devonica (Penecke, 1894) (err, still one more Penecke-species...). This is one of the not so abundant rugosa in this formation. 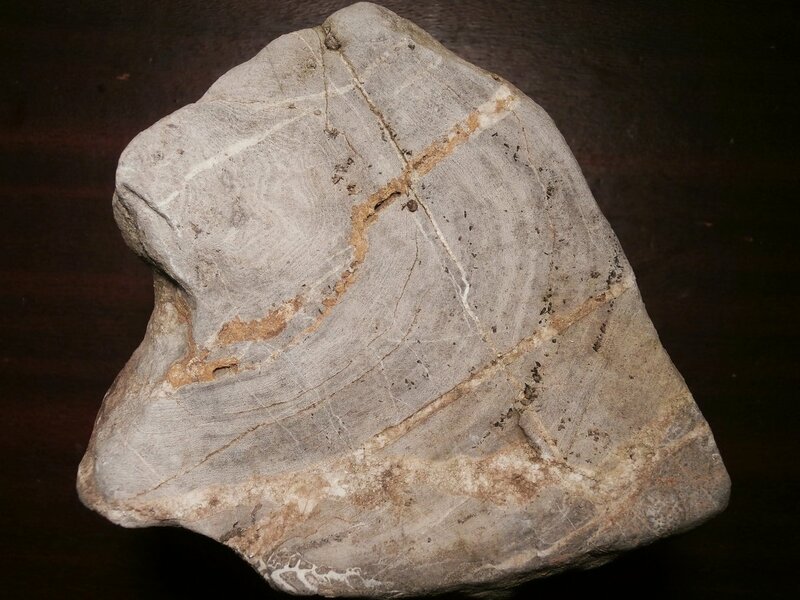 Its a 2D specimen, but there is a kink at the surface, so the left part is more of a longitudinal section and the right part more of a cross section. Southwest of Fürstenstand, field of view 5.5 cm, collected 10/17/2017, Nr. 3501. Where are the crinoids? Here they are! 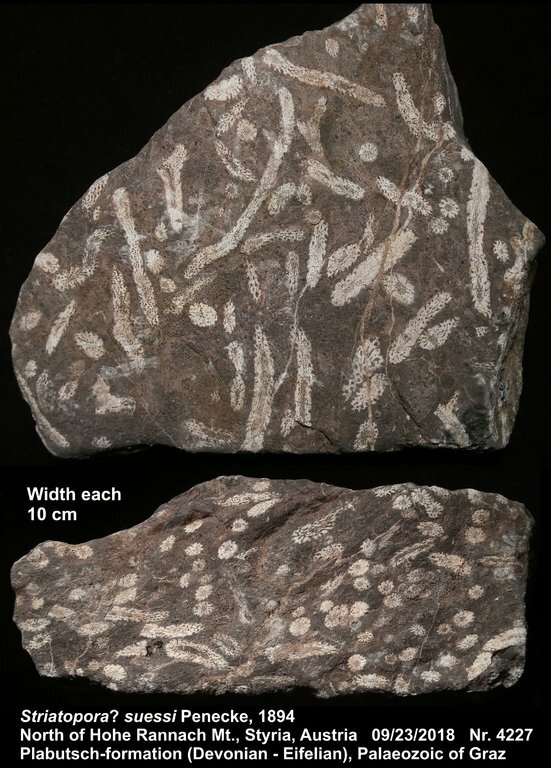 Crinoid bits are super-abundant, but stem sections aren´t. 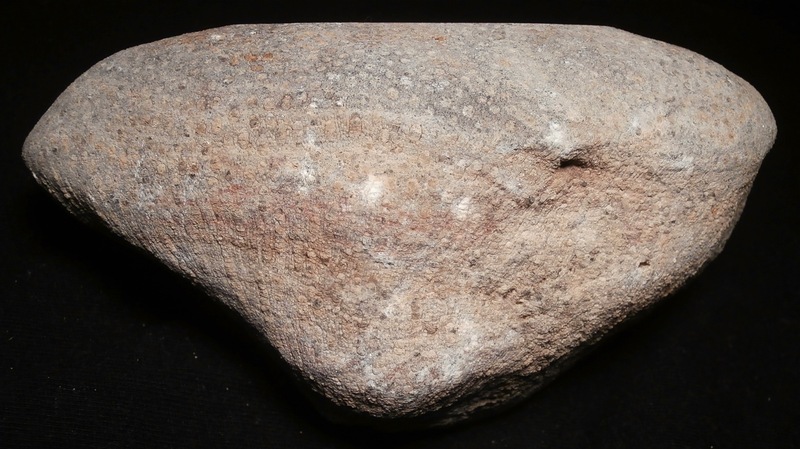 Buchkogelsattel, field of view 4 cm, collected 12/10/2015, Nr. 2615. Thanks for the link! That´s a very good paper with very nice pics and best of all, its in english. Highly recommended ! edit: Thanks for explanation, @doushantuo! 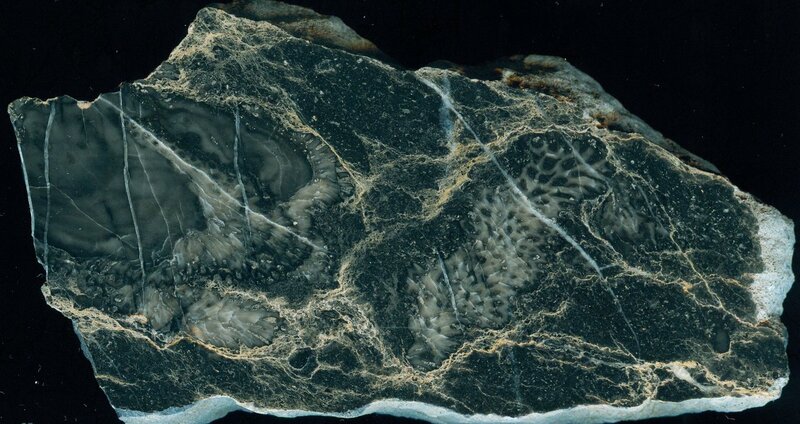 Lot of infos about the Plabutsch formation and even more about the Palaeozoic of the Carnic Alps. These corals are really lovely. 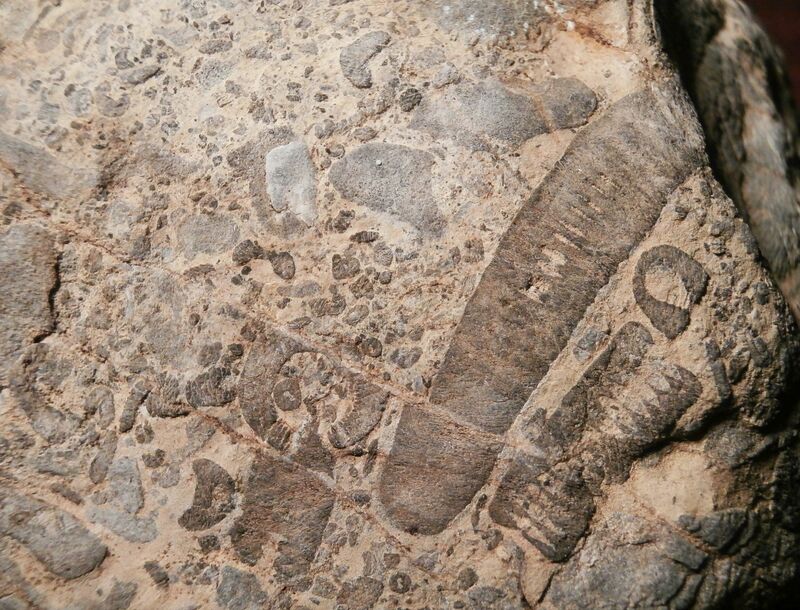 An often undervalued group of fossils. I definitely agree, that’s a long drive but to get to some of the best sites here you’ve got a long way to drive. The petrified wood excursion I took was 350 km one way. I sometimes wish everything was a bit closer to me. To get to Zion National Park from SLC airport it’s 505 km one way! 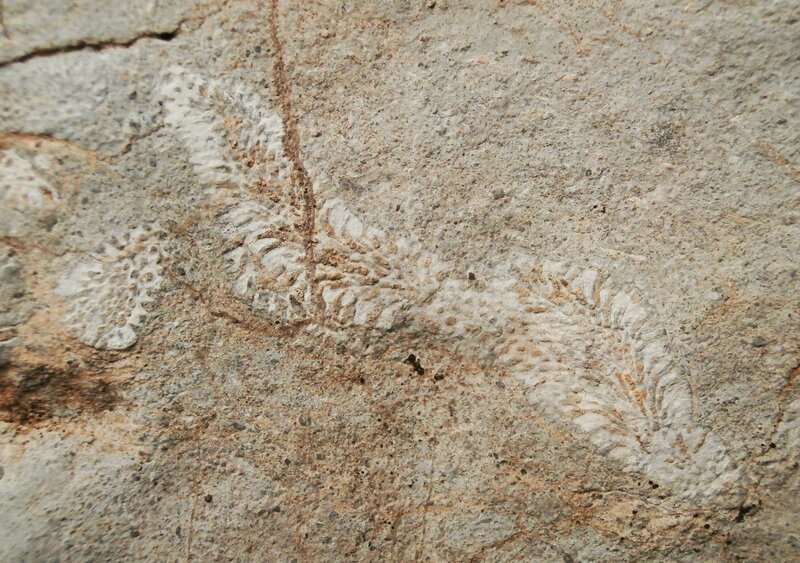 Polished slab with stromatoporids and Thamnopora boloniensis. Everything is very dark, very gray and has low contrast, but note the succession of stromatoporids and Th. 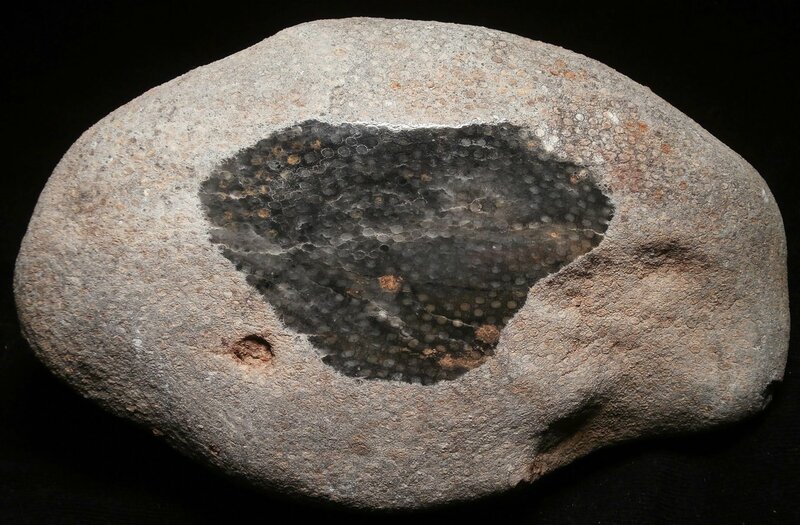 boloniensis in the left part of the specimen. Southwest of Fürstenstand, width of specimen 12 cm, collected 10/17/2018, Nr. AN3902. A low-contrast Thamnopora reticulata. 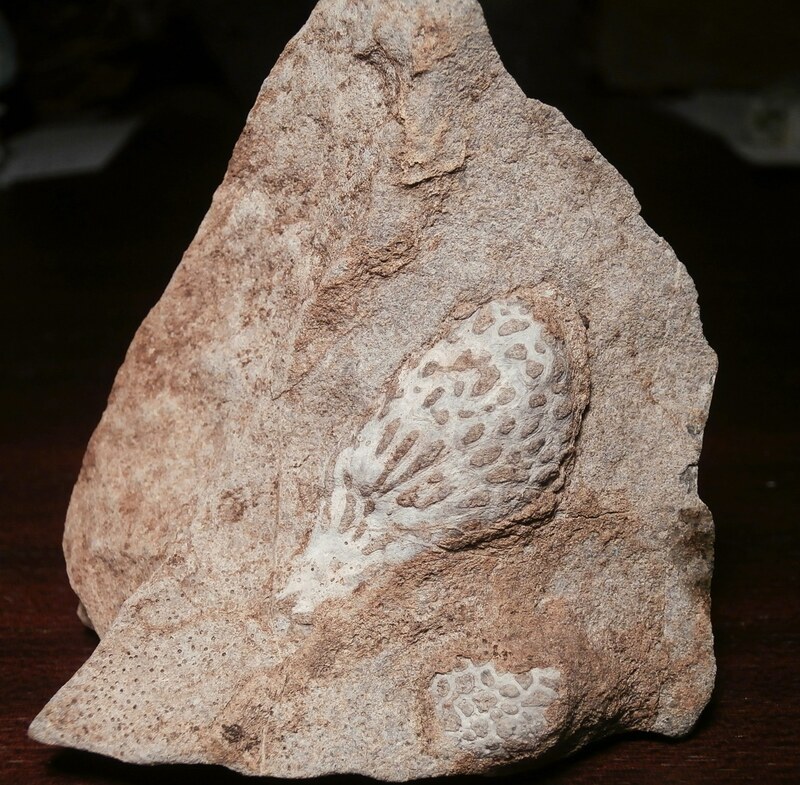 Southwest of Fürstenstand, length of coral 6 cm, collected 05/24/2016, Nr. 2770. A stromatoporid. Southwest of Fürstenstand, width of specimen 9.5 cm, collected 10/17/2017, Nr. 3520. 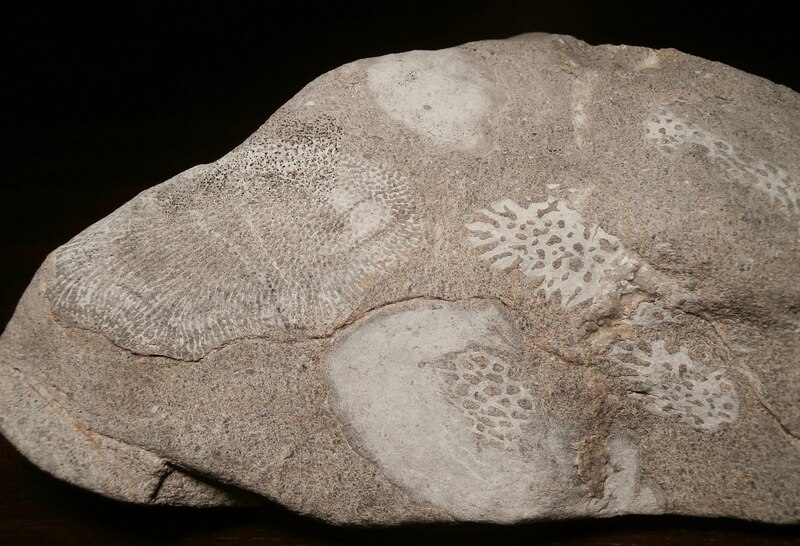 In a paper from 1975, about 25 stromatoporid species are listed, belonging to the following genera: Actinostroma, Anostylostroma, Clathrocoilona, Stromatoporella, Ferestromatopora, Parallelopora, Taleastroma. A multi-species specimen with moderat contrast: To the left Favosites alpinus Penecke, 1894 (a Penecke-species again! 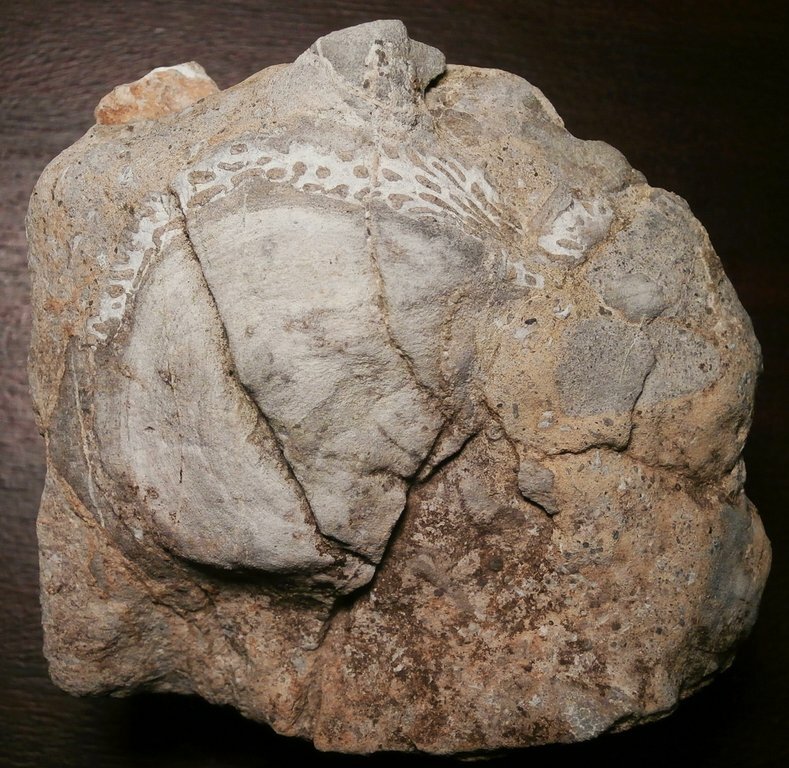 ), in the middle and to the right Thamnopora boloniensis, and a stromatoporid at the bottom, which seems to overgrow a Th. boloniensis. Southwest of Fürstenstand, field of view 9 cm, collected 08/29/2017, Nr. 3416. I think the traffic in Europe might explain, at least in part, why they're less willing to drive long distances over there... I was in Switzerland in 2011 so I saw it first hand. Too many people! Gas prices would be another reason. I think gas is generally cheaper in Canada than in Europe, and cheaper in the US than Canada. Yeah, I know. The gas prices alone would be a good reason not to drive very far. True, but public transit options there are second to none. Pack a light kit, of course! I will give them that. Utah’s public transit system leaves a lot to be desired. This is the last batch for now. Thamnopora boloniensis in a somewhat 2.5D fashion. Southwest of Fürstenstand, length of coral 2.8 cm, collected 10/17/2017, Nr. 3508. 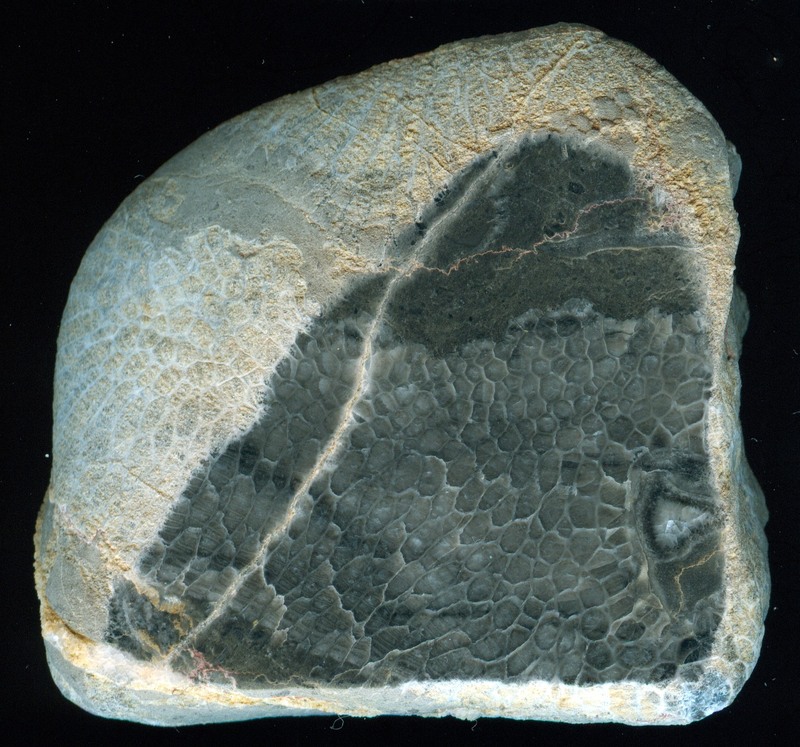 Favosites styriacus with cross section of a rugose coral. Ölberg, width of specimen 11 cm, collected 09/09/2017, Nr. 3527. And the last one - back to the field! An Aulopora tabulate coral as found in the field, now in collection. 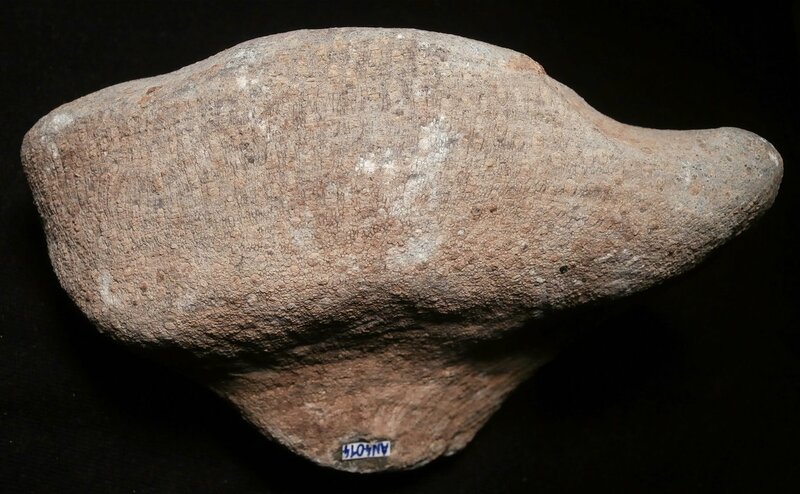 Ölberg, width of specimen 12 cm, found and collected 09/09/2017, Nr. 3530. Thats all for the moment! Thanks for your interest and all your appreciation!